4 people appartments with private kitchen and bathroom. Charming and typical restored rural farmhouse, in the heart of Sabina, a central Italy region famous for the DOP extra virgin olive oil, for its medieval villages, churches and franciscans monasters. Via Pietro Romano S. N. C.
The apartment "rustic" is comfortable for 1 - 5 people. It has the living room with the kitchen and fireplace, one bedroom with a double bed(140x200) and two single beds (90x200), one of the single bed can be a bunk bed, and one bathroom. The kitchen is well equipped with all necessary for cooking. There is air conditioning hot / cold fan and humidifier. Heating with wood-pallet system with radiators. There is the wi fi satellite Internet access. Outside the apartment there is a garden table with chairs. The apartment "classic" is comfortable for 2 - 6 people. It has the living room, kitchen, two bathrooms, two separate bedrooms: one double room with a double bed (160x200), one bed room with one double bed (160x200), one single bed (90x200) and in the loft there is one single bed (90x200). The kitchen is well equipped with all necessary for cooking, air condition. Heating with pellet stove with radiators, access wifi satellite Internet. 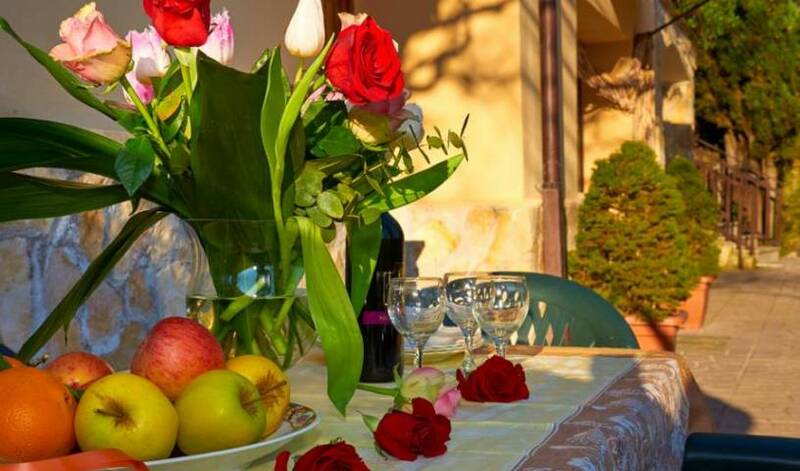 A few kilometers from Rome in the Northeast zone, for your vacations and stays for job, the “Pepe Verde” offers a pleasant and familiar atmosphere with of all the comforts. 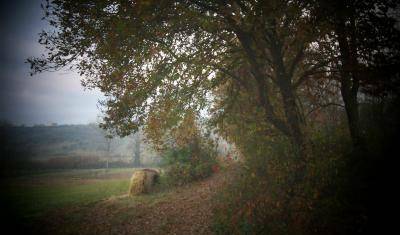 Mater Natura Country House is a small farm located on gentle hills daily kissed by the Sun and easy to reach thanks its position close to the main arteries of connection. Here you still will appreciate the calm of the night and the peace of the day. A large house in the Rome-centre just near the famous "Coloseum" !! 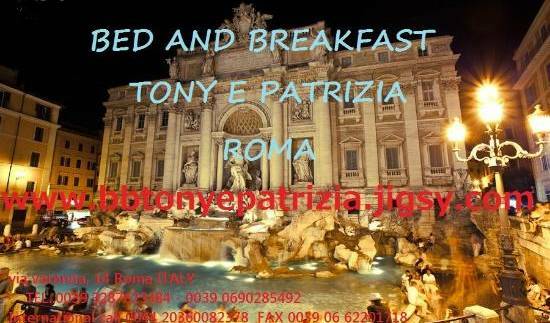 A comfortable and economic accommodation in Rome, easy to reach from Termini station and airports. The double room en-suite is bright and quiet, with a nice view of the garden and the surrounding area. air conditioned. double bed or twin beds. linens and towels are included. breakfast included. Lovely apartment with a wonderful terrace 15 minutes far from downtown. Economic and breakfast included. The new Holiday Home Chirò, recently renovated, is situated at 20 minutes from the center of Rome, a cheaper place situated in a friendly position. Our three star hotel situated in the suburbs of Rome is a very convient place to stay. Whether on holiday or in Rome for work, our prices and accommodation make you feel at home whilst far away. SIMPATIA is placed in a well communicated zone with the center of Rome, the University and Tiburtina Station . You will not be disturbed by the traffic of the town and it will be perfect for your comfortable stay. Se state cercando un Bed & Breakfast situato in una posizione favorevole a Roma, non cercate altro perché Domus De Angelis è quello che fa per voi. 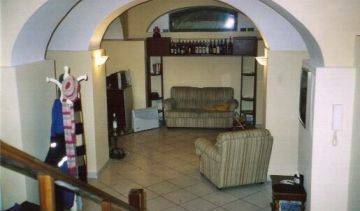 Apartment is situated in the building in the most residential side of Piazza Bologna. Apartment is composed of a spacious and charming living room, the equipped kitchen one bedroom and a bathroom. The Home in Rome, is a sunny and comfortable Bed & Breakfast located in the central area of Piazza Bologna, one of the most popular neighbourhoods in the heart of Rome. B&B A Casa di Lia is in a central perfect location for sightseeing Rome: only minutes by public transport from the beginning of downtown at Piazza del Popolo, via del Corso, the Spanish Steps and the Trevi Fountain, in a quiet area by the river Tiber. Attentive and comfortable environment. Great location and well connected by the railway line FL3 to easily reach the center of Rome in a few minutes. The railway line FL3 is just 5 minutes walk from our hotel. Victoria Hostel is located in front of Cavou Metro and the Roman Forum can be seen just around the corner . B&B in the Historical centre of Rome a few step for The Trevi Fountain!!! Veneto Inn Roma enjoys a prestigious location in the historical centre of Rome. It lies a few steps from Via Veneto, piazza di Spagna , Villa Borghese and not far from Termini railway station. A nice and cosy place to spend a few days in Rome. Very comfortable and neat rooms with private bathrooms. Heart of the city. New!! Hotel Internationaal renovated in February 2008!! The Hotel Gabriella is a superior tourist class hotel located in the city's old centre. This charming hotel features all newly renovated guest rooms that are both comfortable and well appointed. Hotel Stargate is located within walking distance from some of the most important sites of touristic and commercial interest, just few blocks away from the Train Station Termini. B&B INCANTO BEDONE in the Historical Centre of Rome!!! youll be able to find both the quality which is suited to an hotel and the hospitality of a true family. "Art Domus Reale" è un B&B ricco di fascino nel centro storico-artistico di Roma, a 5 min dalla nobile Via Veneto, Villa Borghese e le antiche mura romane di 2000 anni. the double big bed. quiet room. a casa di penelope is one of the most classical accommodation in Termini Station Area . Via Varese 5, 4Th Floor. lucky house is the best place for good sleep and very comfortable location in rome. A brand new accommodation strategically situated within short walking distance from Rome's main Termini Station. Each room has been tastefully decorated with a global theme. Angelica Guest House is a brand new warm, cozy place where to stay while in the Eternal City! The property is located just two blocks from the main train station Termini, close to the Metro, bus and the most important sightseeing and monuments. An elegant and quiet structure close to Termini station. The flat is fully furnished and is made up of a lounge with a kitchen corner equipped with microwave, fridge, oven and dishwasher. Two Ducks Hostel is a safe and quiet Rome hostel to spend some days. Asterix II Hostel is located in the historical centre of downtown Rome within a short walking distance from the Termini Railway Station and all major sites. This popular and convenient accommodation offers a comfortable, clean, friendly, young environment with efficient multilingual staff. Korean Bed and Breakfast in Rome, one of the most affordable Hostels in Rome, Italy ! The Legends Hostel's exceptional location provides an ideal base for independent travellers & backpackers to explore Rome's monuments & treasures like the Coliseum, the Roman Forum & other historical sites situated a short walk away. 5 single beds, room shared bath (bath in the corridor)sink in the room fan, table, closet, chair. 4 single beds, room shared bath (bath in the corridor)sink in the room fan, table, closet, chair. 2 single beds, room shared bath (bath in the corridor)sink in the room fan, table, chair. 1 king size bed, room with bath (shower, wc, bidet, sink ) fan, table, closet, chairs. 3 single beds, room shared bath (bath in the corridor)sink in the room fan, table, chair. 1 king size bed and 1 single bed, room with bath (shower, wc, bidet, sink ) fan, table, closet, chairs. 4 single bed, room with bath (shower, wc, bidet, sink ) fan, table, closet, chairs. Single room shared bath (bath in the corridor)sink in the room fan, table, 1 chair, single bed. Our bed and breakfast morelli 1 is a new openinig located on Via Piemonte , 32 in Rome near Via veneto the most important street . Our room have private batheroom and air conditioned the breakfast is continental and is inclusive on the price . Hi ! Termini is sitauted in the historical center, just next to the train station Termini. It is well connected to all city areas both by bus and subway, making the visit to all major touristic areas easy and quick. Beautifull apartment 110 mq close to the centra Termini station, well connected and easy to find. This is sort of apartment along with kicchen facility and belcony. Specially decoreted with a romentic view. Strategically situated with in short walking distance from Rome's main Termini Station. A beautiful big apartment with units en-suite (private WC) with all amenities that you need to have a great holiday in Rome. We arrange bedrooms with private WC or shared WC or cheap beds in mixed-shared bedroom as dormitory. Elegance, class and cleanliness are the components of our rooms. Situated in the Via Veneto area. Il Cavaliere-Inn Roma è situato al quinto piano di un palazzo del '700, a soli 200 metri dalla Stazione Termini. 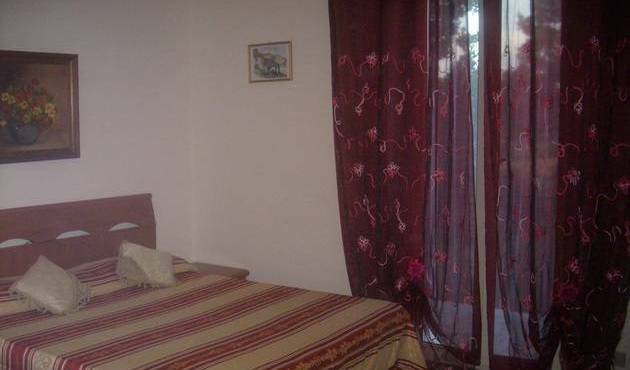 Offre camere con TV LCD e internet Wi-Fi gratuito. Nice and neat apartment of 2 big comfortable bedrooms with a common T&B & kitchen. 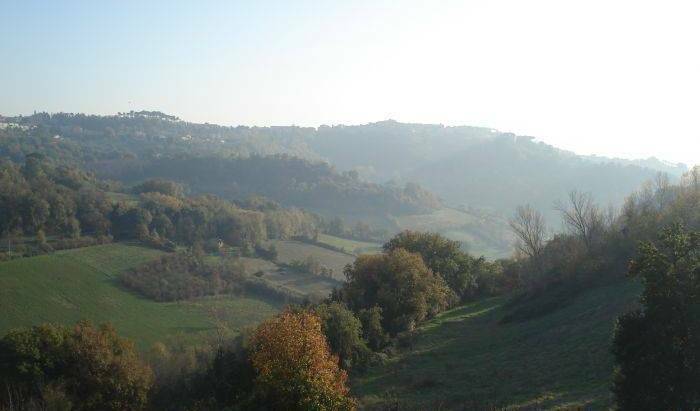 100 meters from the Termini Train Station & Metro/Bus stations. Just 15 min to the Vatican City. Warm Italian hospitality from your hosts who will make you feel welcome like at home. Girasole Bed&Breakfast is really good location to explore the "eternal City"
Maryland is a family runned place that guarantees you all comforts while in Rome. Here you will enjoy one of the finest central locations in Rome, high standards and friendly, comfortable surroundings with up-to-date facilities. Set in one of the most prestigious locations right in the heart of Rome, B&B Stella Elsa offers excelent accommodation for visitors visiting Italys capital. Didn�t you know? Rome also has its Hollywood! With a queen or twin bed with private bathroom. With a queen bed and 1 single bed. Eden Guest House Hostel is a young and dynamic accommodation and at the same time careful to maintain the traditional canons of Roman hospitality. Situated in the center of Rome, Esquilino area, 2 min. distance from subway station ( Manzoni and Vittorio Emanuele), 5 spacious rooms, private bathrooms with shower, hair dryer, tv, air conditioning. Important : advise arrival time. Relaxon B&B is located in the historical centre of downtown Rome within a short walking distance from the Termini Railway Station and all major sites. four bed for four person best for family or friends. with attached bathroom. one double bed and another storeyed bed for two person best for family or friends. with attached bathroom. Situato nel centro di Roma, vicino la storica Piazza Vittorio e la stazione Termini, a pochi minuti dal Colosseo e dallo splendido Foro Romano, collegato con tutti i mezzi pubblici . The Momi is in the historic centre of Rome, near Termini central station . The rooms are equipped whith air conditioning, private en-suite bathroom with shower, area breakfast ant tv. One matrimonial bed and two singlebeds. One matrimonial bed and one single bed. Via Napoleone Iii, 75-1St Flr. A new CHERRY HOSTEL which has spacious space for everyone, offers comfortable and low budgeted rooms with all types of rooms you need. "da Vinci" is a Bed and breakfast in the center of Rome in Italy. 3 Large and comfortable rooms with private bathroom. Near Termini Railway Station and Metro stations "Vittorio Emanuele". Strategically located, this B&B is your best choice for a pleasant stay in the Eternal City. Domus Valeria is my cozy Bed & Breakfast located in central Rome. The Domus Victoria in Rome is a completely renewed, small Bed & Breakfast in the heart of the city. Colorful, cozy B&B in the center of Rome. Rooms with private bathroom and shared bathrooms at special price. Are you looking for a CHEAP ACCOMODATION in Rome? AD1HOUSE is the place for you!! Double bed/s and single bed, Private bathroom outside room, TV, Wi-Fi, fan, bath towel. hairdryer.